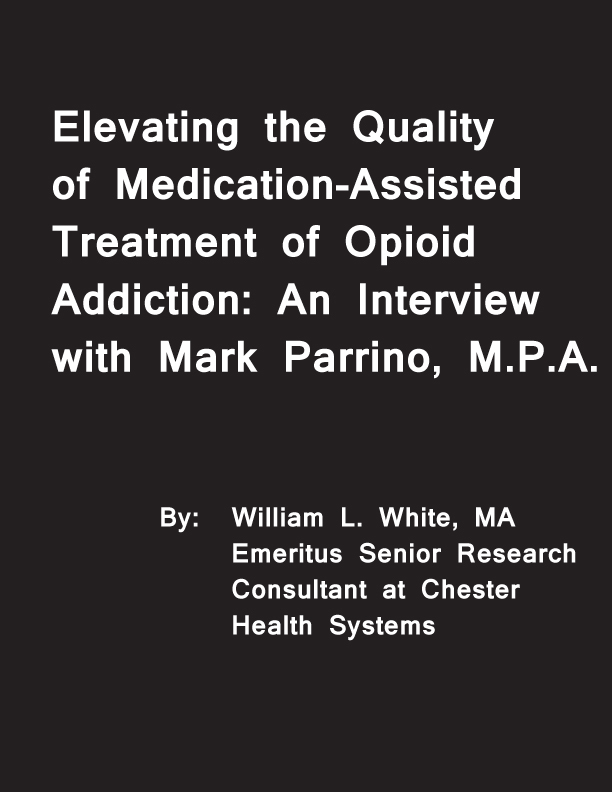 Elevating the Quality of Medication-Assisted Treatment of Opioid Addiction: An Interview with Mark Parrino, M.P.A. The rich details of AATOD is captured in this interview done by William L. White, Emeritus Senior Research Consultant at Chestnut Health Systems, and will add more perspective to this timeline. 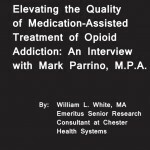 The Northeast Regional Methadone Treatment Coalition evolved into the American Methadone Treatment Association (AMTA). Our European colleagues (forerunner of EUROPAD) present the first major international symposium at our Association’s last Northeast Regional conference in Newport, Rhode Island. The inaugural national conference convenes in Boston, as states outside of the Northeastern corridor begin to join the American Methadone Treatment Association (AMTA) as new member state chapters. AMTA works in conjunction with members of the American Society of Addiction Medicine to develop the content for SAMHSA’s TIP #1, “State Methadone Treatment Guidelines”, which was published and released through SAMHSA. These were the first clinical guidelines in a comprehensive form written for the field since the initial use of methadone in OTPs. AMTA opens its full time office in New York City. AMTA works in conjunction with the DEA and a number of other parties including SAMHSA, to develop the Narcotic Treatment Programs Best Practice Guidelines, which is released at AMTA’s conference in San Francisco in April 2000. The AMTA Board approves the change in the name of the Association to the American Association for the Treatment of Opioid Dependence (AATOD), reflecting the new medications that are being developed to treat opioid dependence. AATOD works with the National Association of Drug Court Professionals to develop the first Fact Sheet with regard to methadone and buprenorphine use to treat chronic opioid addiction. AATOD utilized a Robert Wood Johnson Foundation Innovators Award with a matching grant from Mallinckrodt, Inc, to provide access to medication assisted treatment through the criminal justice system. Pilot tested an innovative Hepatitis C training initiative for OTP staff with SAMHSA/CSAT funds. This lead to a long term multi-year training process including the nation’s treatment system. Launched AATOD’s newly designed website to offer the most comprehensive information available about opioid treatment. Develop a strategic initiative with EUROPAD (European counterpart to AATOD representing 21 nations) to provide access to medication assisted treatment throughout the world with the focus on the Russian Federation. AATOD works in conjunction with its research partner (NDRI) in working under the auspices of the RADARS™ System, collecting data from 75 OTPs in over 30 states, evaluating changing patterns of opioid use and abuse. This is initially funded through Purdue Pharma and currently funded by the Denver Health and Hospital Authority. This is part of the mosaic of data collection systems which are managed under the aegis of the Denver Health and Hospital Authority. AATOD worked with a number of policy stakeholders to develop TIP 43 for SAMHSA “Medication Assisted Treatment for Opioid Addiction in Opioid Treatment Programs”. This is still a benchmark reference in guiding the clinical development of how OTPs should treat patients. After months of planning, the AATOD office relocated to 225 Varick Street in New York on December 13, 2006 to be co-located with the Legal Action Center. AATOD works in conjunction with its European partners (EUROPAD) in executing the charter for the World Federation for the Treatment of Opioid Dependence, which is formalized in Ljubljana, Slovenia. Work with representatives at the National Development and Research Institute (NDRI) and Brown University in developing attitudinal surveys to understand the views of representatives in the criminal justice community in using approved medications to treat chronic opioid addiction. The World Federation for the Treatment of Opioid Dependence receives Special Consultative Status through the United Nations Economic and Social Counsel. AATOD works in conjunction with EUROPAD and the World Federation for the Treatment of Opioid Dependence in developing a conference with the government of the Ukraine, “Ukrainian Society and Drugs: Building a New Strategic Approach”. AATOD worked with 15 OTPs, developing a similar quarterly survey instrument reporting on the success in treating patients more effectively as OTPs check PDMP databases throughout the patient’s care. The study follows 15 programs for a one year period and the data will be reported out in 2016. AATOD produced three policy papers for SAMHSA, focusing on models of service integration between OTPs and primary and behavioral healthcare settings. One of the papers discussed models of engaging drug courts, child protective services, family courts, and correctional settings in creating linkages between OTPs and such individuals within each of these populations. Another paper focuses on the Vermont Hub & Spoke Model and the models of Health Homes and OTPs in Rhode Island and Maryland. AATOD produced four webinars for SAMHSA in conjunction with the American Institutes of Research, encouraging all OTPs to utilize the four SAMHSA Extranet websites in submitting patient exception requests, which also need to be approved by the State Opioid Treatment Authorities (SOTAs). Work with the American Academy of Addiction Psychiatry through a PCSS mini grant as funded by SAMHSA to develop a model of service integration between OTPs and DATA 2000 practices. This project was based on the model as developed by Dr. Kenneth Stoller and his associates at Johns Hopkins. It presently includes a number of OTPs and provides the necessary tools in how such OTPs can work with DATA 2000 practices in promulgating interfacility referrals.